There are countless heritage sites in India to wander and explore. If you love visiting incredible cultural and natural wonders while you travel, you’ll want to head straight to India. It’s called Incredible India for a reason! Out of every country in the world, India ranks sixth for having the most UNESCO World Heritage sites, with 37 in total. 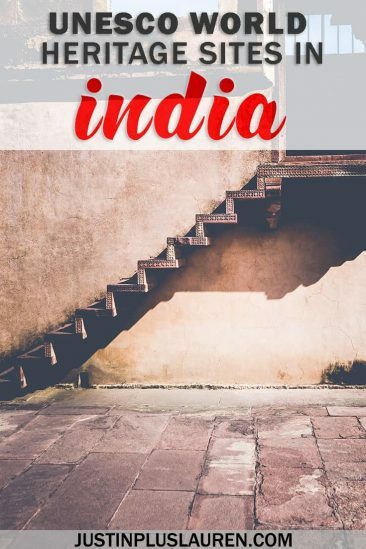 They’re scattered all over the country, so you’ll either have to spend quite a bit of time in India to check them all off your list or travel to India multiple times. 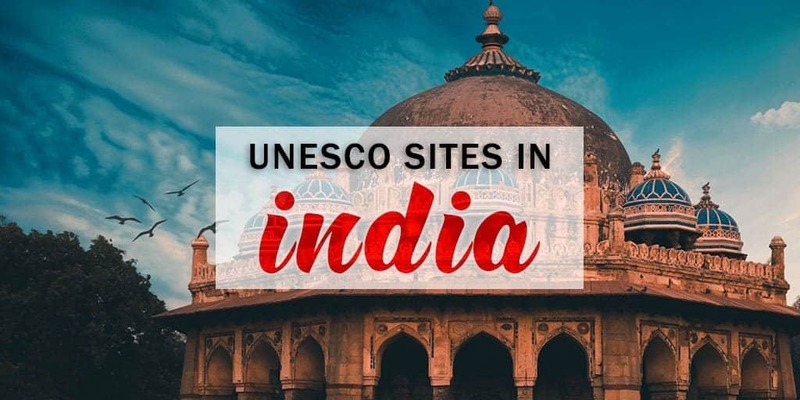 The most recent UNESCO India site was added in 2018. I am certain that even more will be added in the future. India is one of the oldest civilizations on earth. It’s also unique because it’s the birthplace of several religions, like Hinduism, Buddhism, Sikhism, and more. With the rise and decline of dozens of empires and dynasties, India has such an amazing history with architectural and natural marvels. The cultural UNESCO sites in India outnumber the natural ones, and there’s also one mixed heritage site (both cultural and natural). 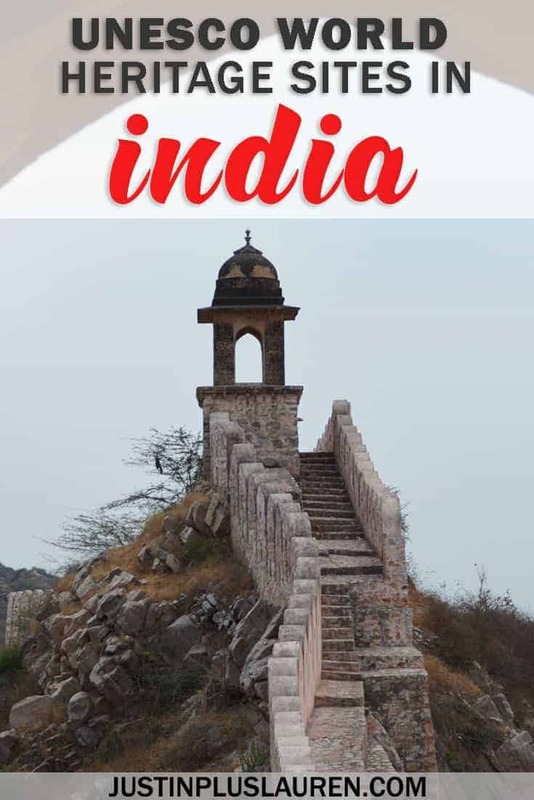 This is the ultimate list of historical places in India that you need to see and experience. While there are numerous others that you’ll discover on your travels to India, make sure you check out this list of 37 as soon as possible. Here are the UNESCO World Heritage Sites in India that have cultural importance and significance. The Red Fort of Agra is right near the Taj Mahal, making it easy to visit two UNESCO World Heritage Sites in India in one day. It’s a massive and important cultural monument, with 2.5km long enclosure walls. 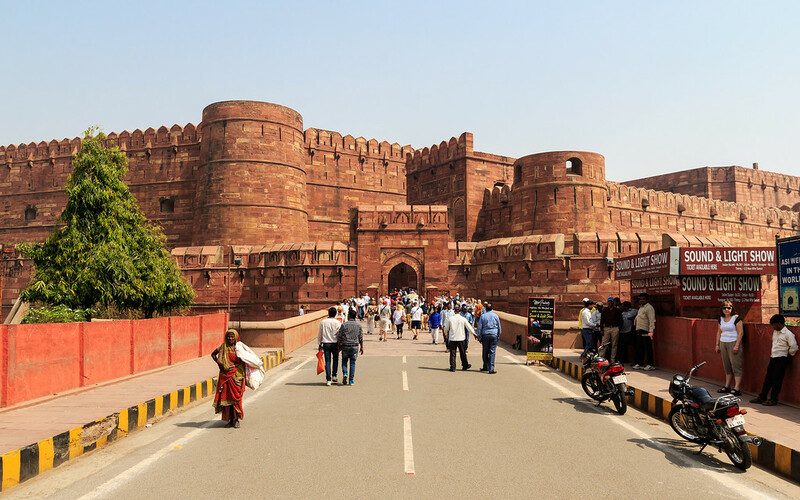 This majestic red sandstone fortress illustrates the power of the Mughal dynasty. You’ll also see the Jahangir Palace, the Khas Mahal, the Diwan-i-Khas audience hall, and two brilliant mosques. 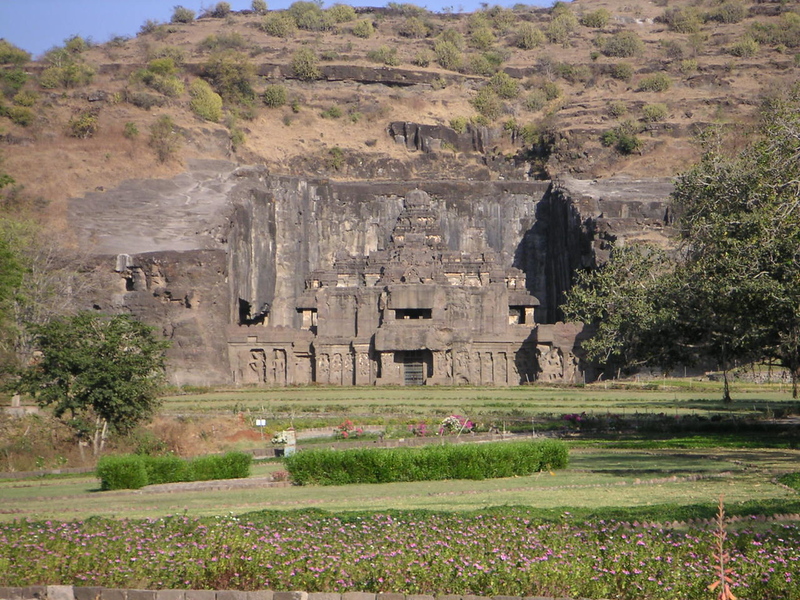 This UNESCO India location showcases ancient Buddhist cave monuments from the 2nd and 1st centuries BC. Throughout the Gupta period in the 5th and 6th centuries, more elaborate decorations were built upon the original ones. There are 31 caves in total, demonstrating elaborate and impressive works of art. 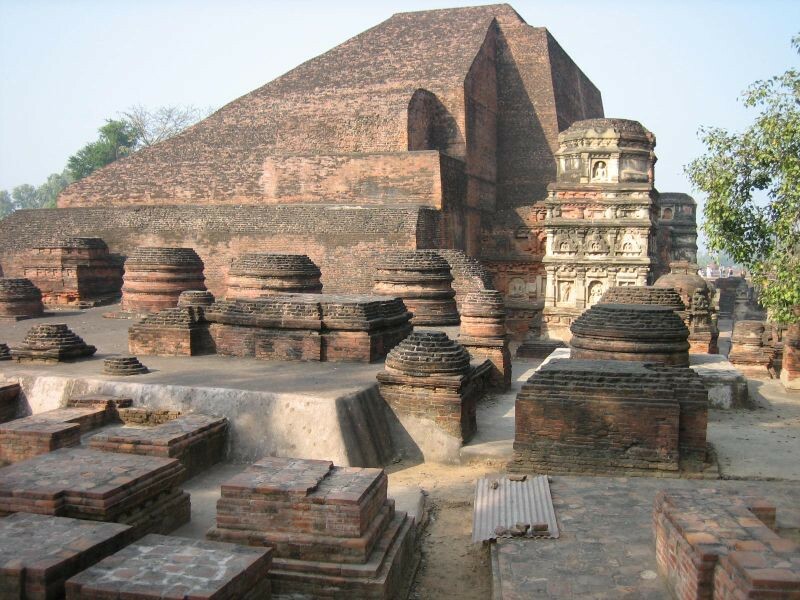 Inscribed to the list of UNESCO World Heritage Sites in India in 2016, the Archaeological Site of Nalanda Mahavihara in Bihar contains scholastic and monastic institutional remains dating back to the 3rd century BC. You’ll see stupas, shrines, viharas, and art made out of stucco, stone and metal. As the most ancient learning institution within India, it taught people for over 800 years and even assisted in the development of Buddhism. 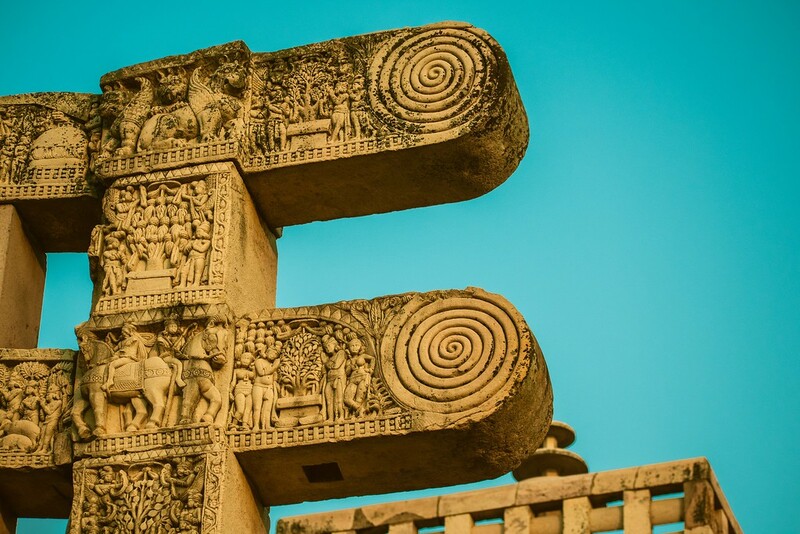 The Buddhist monuments at Sanchi date back to the 2nd and 1st centuries BC. It’s one of the most important religious UNESCO World Heritage Sites in India because it is the oldest Buddhist sanctuary in existence. It was also a major Buddhist hub until the 12th century A.D. Travel here to discover elaborate and detailed structures across monolithic pillars, palaces, monasteries and temples. 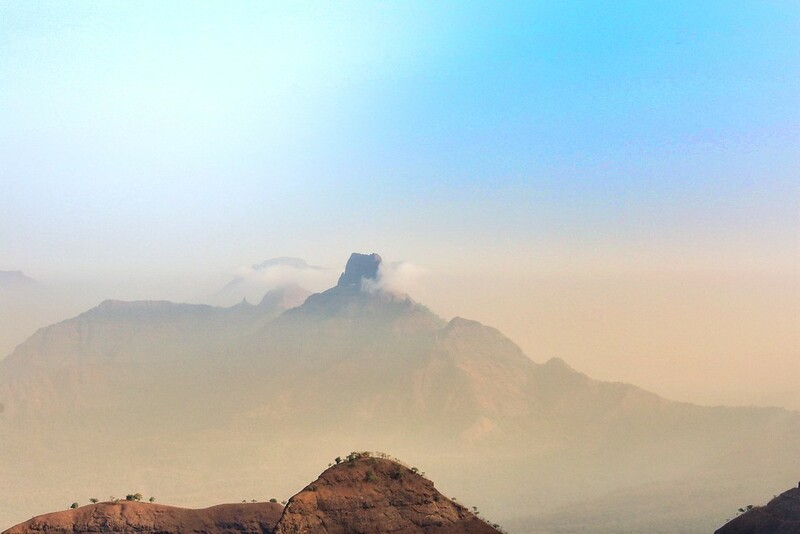 There’s no shortage of historic and prehistoric sites at the Champaner-Pavagadh Archaeological Park. This UNESCO India site has a large collection of unexcavated archaeological, historic and heritage properties. Furthermore, the site also includes prehistoric (chalcolithic) sites, a hill fortress of an early capital, and the remains of the 16th century Gujarat capital. There are also numerous fortifications, palaces, and religious buildings from the 8th to 14th centuries. This is one of the UNESCO World Heritage Sites in India that will certainly keep you busy. 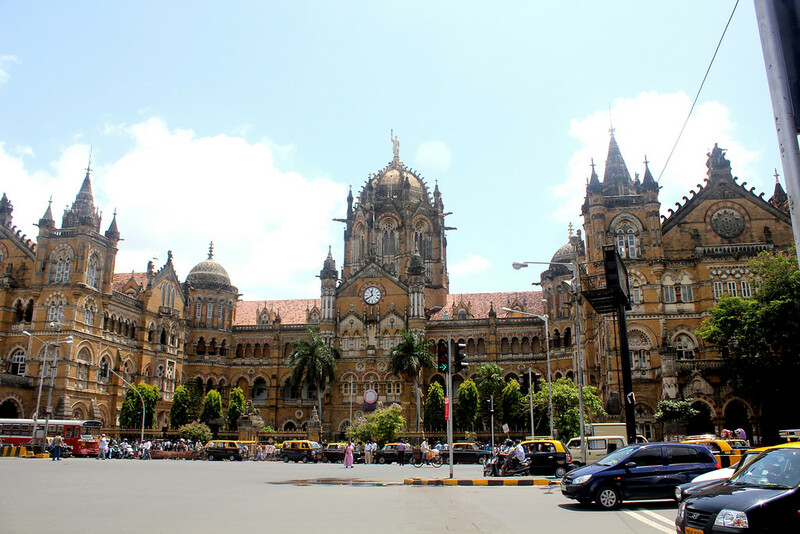 The Chhatrapati Shivaji Terminus, formerly known as Victoria Terminus Station, is a historic railway station in Mumbai. Architect Frederick William Stevens imagined and designed this Gothic railway station in the late 19th century. The terminal took 10 years to build, and it’s still one of the busiest train stations in the country. 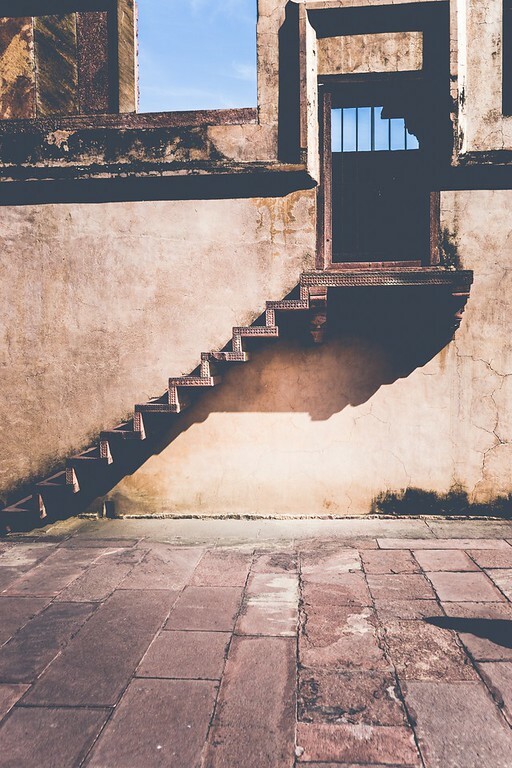 British architects worked with Indian craftsmen to include Indian architectural traditions, forging two designs and cultures into one finished project. 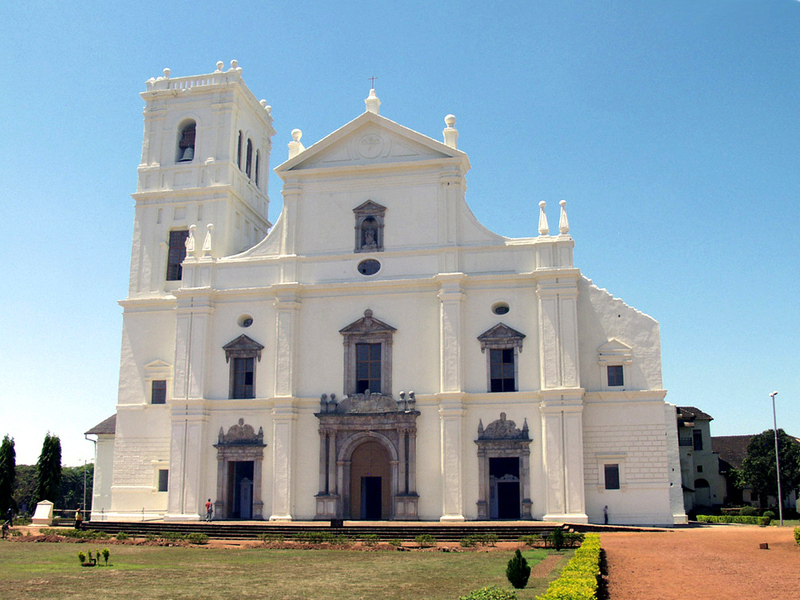 While the beautiful beaches of Goa might immediately spring to mind, the churches and convents of Goa demonstrate the evangelization of Asia. Goa was the former capital of the Portuguese Indies. Portuguese colonial rulers constructed these monuments during the 16th and 18th centuries. They helped to spread the artistic styles of Manueline, Mannerist and Baroque throughout many Asian countries. One of the main structures, The Basilica of Born Jesus, houses a tomb with the relics of St. Francis Xavier. The Elephanta Island in Western India has a series of sculpted caves and collections of rock art belonging to the cult of Shiva. Cave 1 is the greatest of them all, featuring the seven meter high masterpiece “Sadashiva” at its entrance. 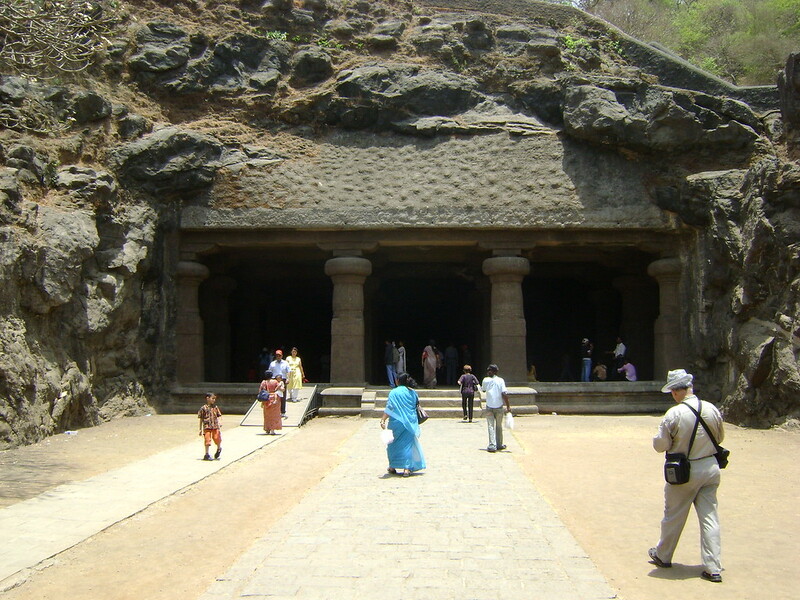 The caves are a magnificent example of rock-architecture in western India. Inscribed as one of the UNESCO World Heritage Sites in India back in 1983, the Ellora caves are India’s most recognized caves. There are 34 temples and monasteries containing brilliant carvings and statues. 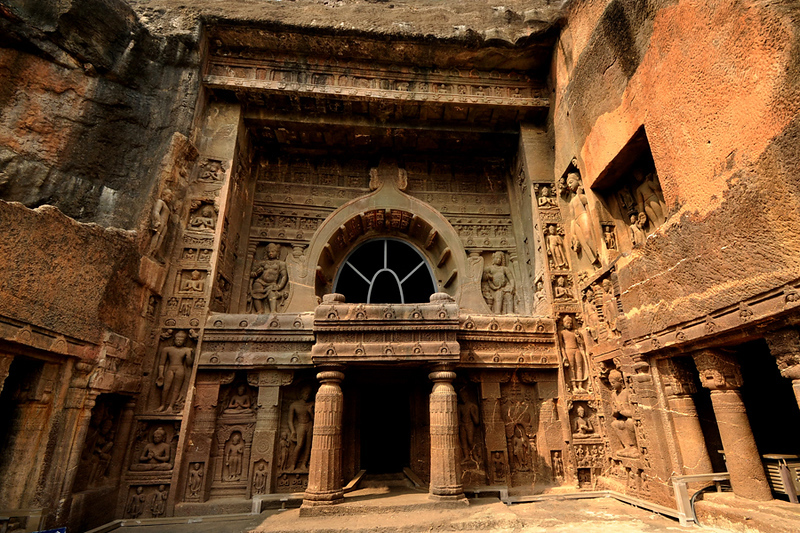 These caves hold a combination of religious art from Buddhism, Hinduism, and Jainism. When you are in Maharashtra, you should visit Mumbai – India’s most happening and vibrant city. It’s called the “City of Dreams” as it’s where a lot of dreams have come true for people. Fatehpur Sikri, also known as the “City of Victory”, was built during the 16th century by Emperor Akbar. However, it was only the capital of the Mughal Empire for only some 10 years before it was abandoned due to political instability. Later, the planning and construction of a new walled city took place over 15 years. You’ll find many temples and monuments here, including Jama Masjid, one of the largest mosques in India. The Great Living Chola Temples of the Chola empire extend all over South India. 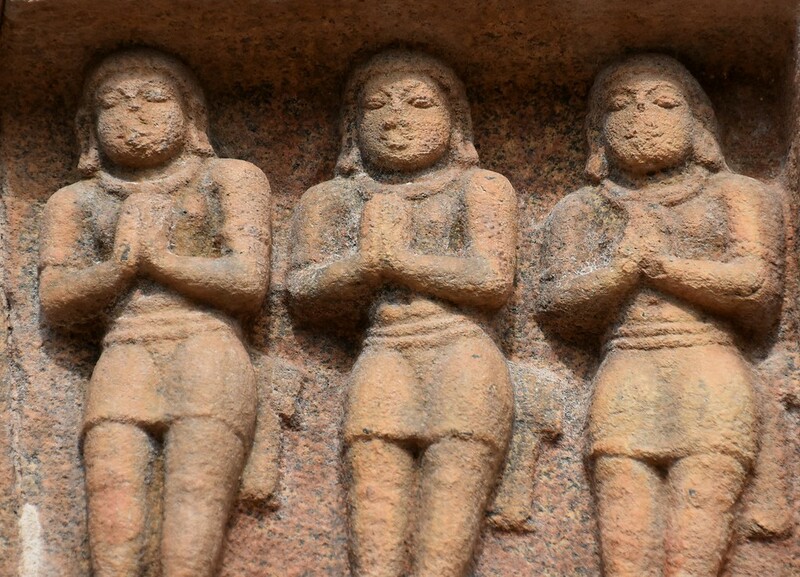 There are three 11th and 12th century temples: the Brihadeeswarar Temple in Thanjavur, the Airavateshwarar Temple and the Brihadeeswarar Temple in Gangakondacholisvaram. 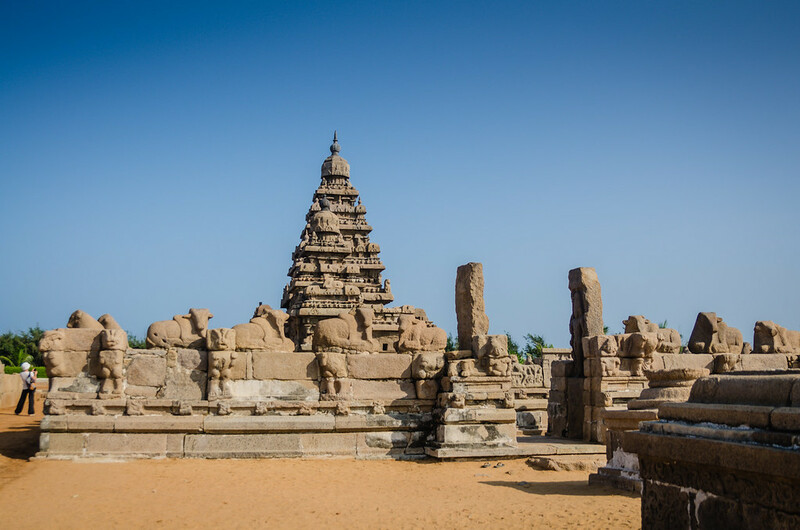 The temples highlight the strengths of the Chola empire in sculpture, painting, bronze casting, and architecture. I am so excited to be visiting Hampi in September (and I’d love you to join me!). This amazing site was the last capital of the great Hindu Kingdom of Vijayanagar. 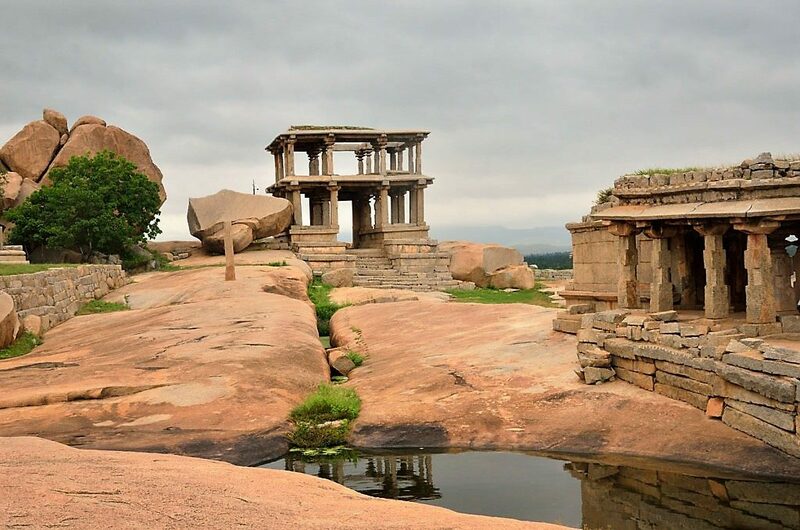 Named one of the UNESCO World Heritage Sites in India in 1986, Hampi is an incredible instance of a unique artistic creation that blends temple architecture with its natural surroundings. It clearly shows the vanished civilization of the Vijayanagara kingdom. Furthermore, it left behind magnificent temples, and archaeological structures (military, royal, civil, and sacred), as well as evidence of its affluent lifestyle. The group of monuments at Mahabalipuram are carved out of rock along the Coromandel coast. Created across the 7th and 8th centuries, this UNESCO site in India was added in 1984. Founded by the Pallava kings, it is famous for its mandapas (cave sanctuaries), rathas (temples in the form of chariots), massive open-air reliefs, and the temple of Rivage. 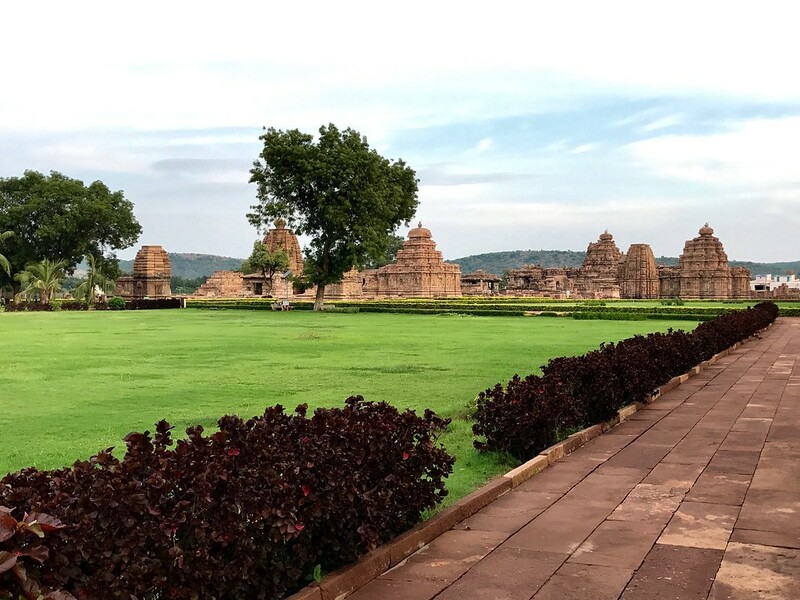 The group of monuments at Pattadakal includes a series of nine Hindu temples, as well as a Jain sanctuary. 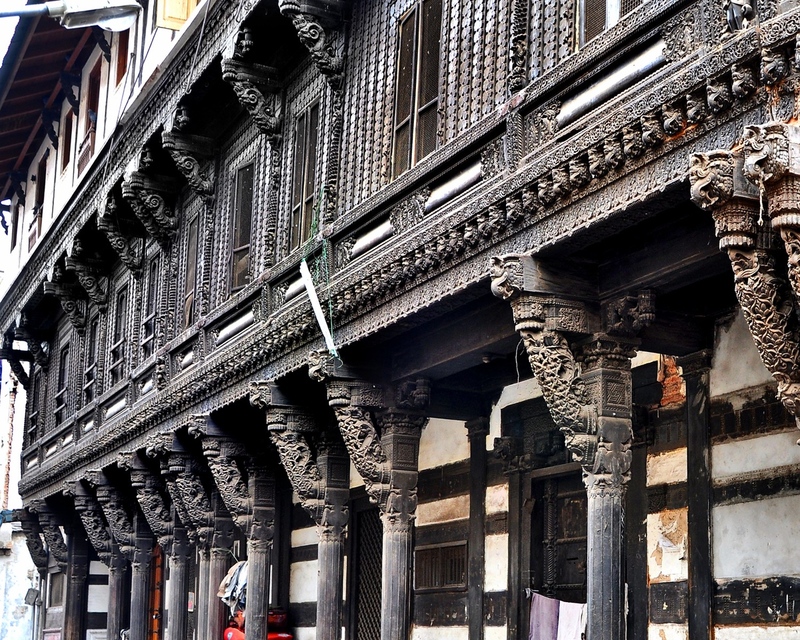 It demonstrates a blending of architectural styles from North India and South India. Queen Lokamahadevi constructed the Temple of Virupaksha as a tribute to her husband’s victory over the kings in the south. Overall, these monuments represent a high point of interesting art during the Chalukya dynasty in the 7th and 8th centuries. 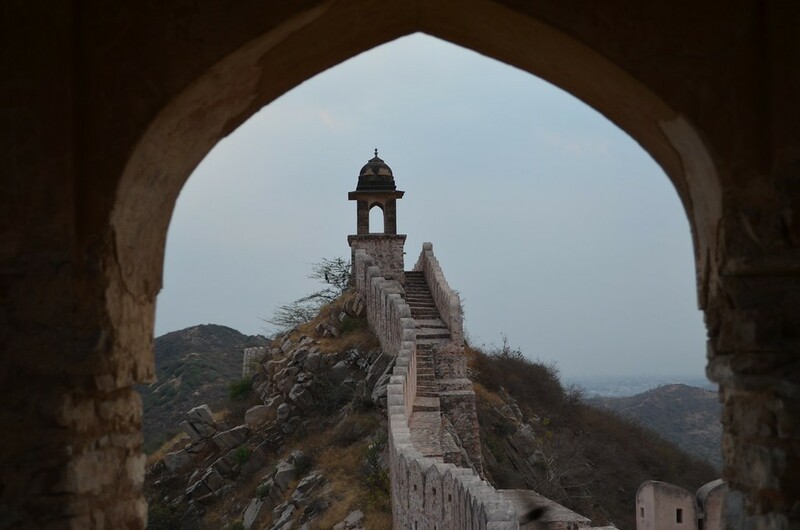 In the state of Rajasthan, there are six marvelous hill forts that are UNESCO sites in India, within the following places: Chittorgarh, Kumbhalgarh, Sawai Madhopur, Jhalawar, Jaipur, and Jaisalmer. Some of the forts are up to 20 kilometers wide! Within the defensive walls, you’ll find major urban centres, palaces, trading areas, and temples that predate the fortification walls. While traveling around Rajasthan to see the six hill forts, why not make a trip to Bikaner to check out even more amazing historical sites? A recent add to the UNESCO list of historical places in India, the Historic City of Ahmadabad dates back to the 15th century by Ahmad Shah I of Gujarat Sultanate. It was the walled capital city that also served as an important commercial and political center. This urban center continues to flourish to this date. You’ll discover densely-packed traditional houses called pols, along gated traditional streets known as puras. Humayun’s Tomb is one of the dozens of UNESCO World Heritage Sites in India because it is the first example of a garden-tomb in the country. It inspired many amazing architectural innovations, eventually leading to the construction of the Taj Mahal. This gigantic mausoleum soon became closely affiliated with the Mughal architectural style. The Khajuraho group of monuments combine both architecture and sculpture in perfect balance. The Temple of Kandariya is one of the greatest masterpieces of Indian art. 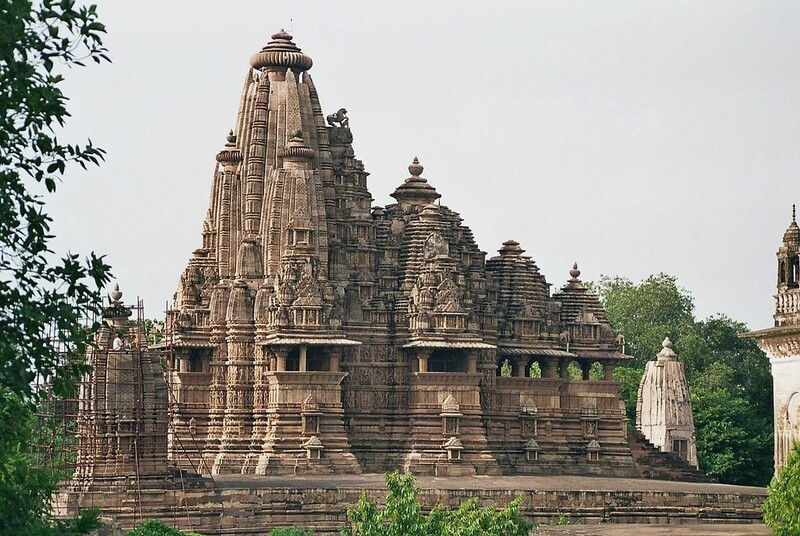 Only about 20 temples at Khajuraho remain, and they are divided between two religions: Hinduism and Jainism. Originally constructed during the Chandella dynasty between 950 and 1050, the Khajuraho group of monuments officially became a UNESCO World Heritage Site in 1986. 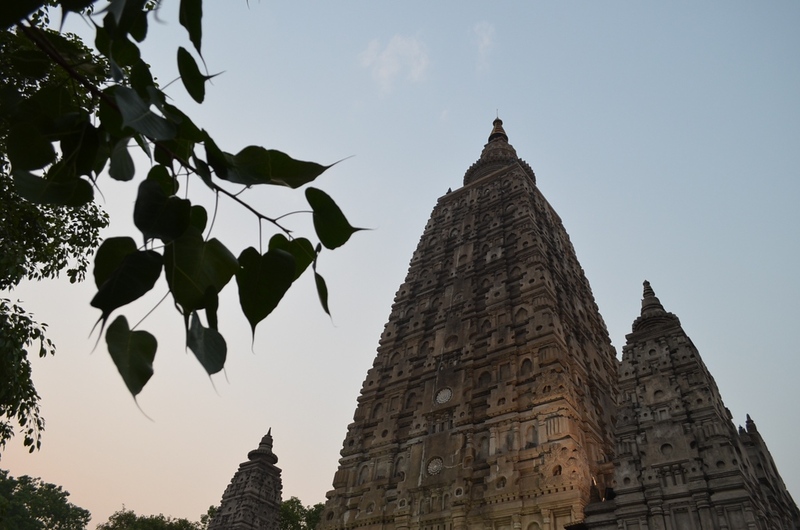 The Mahabodhi Temple Complex is one of four sites connected to the life of Buddha, especially to the attainment of Enlightenment. Emperor Asoka built the first temple in the 3rd century B.C., but the ruins of the present day temple date back to the 5th and 6th centuries. It’s one of the earliest Buddhist temples that is still standing today, built entirely from brick. 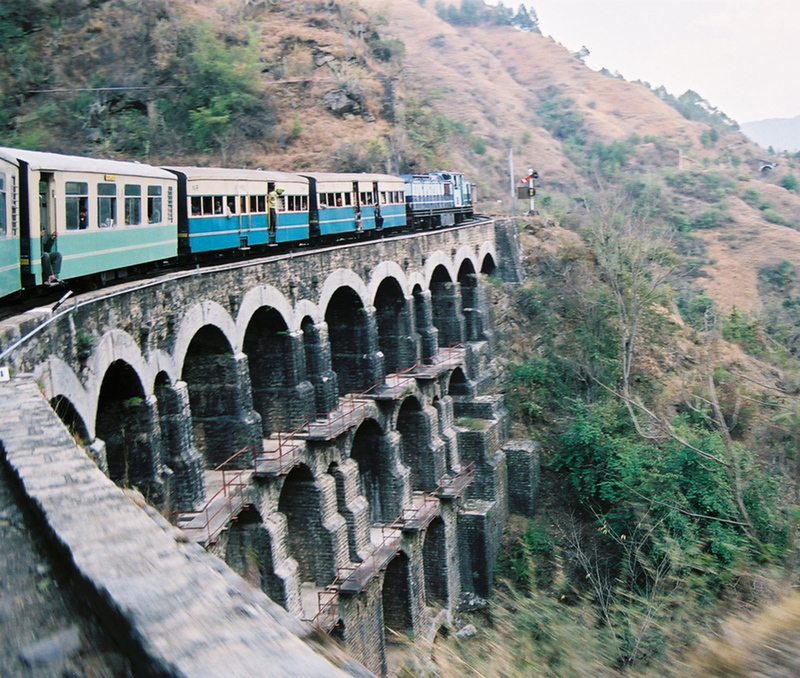 The Mountain Railways of India contain three railways (inscribed in 1999, 2005, and 2008): the Darjeeling Himalayan Railway, the Nilgiri Mountain Railway, and the Kalka Shimla Railway. All three not only provide captivating and enchanting trips, but the engineers had to overcome many obstacles through rugged mountain territory to build them. All three train journeys are fully operational today. 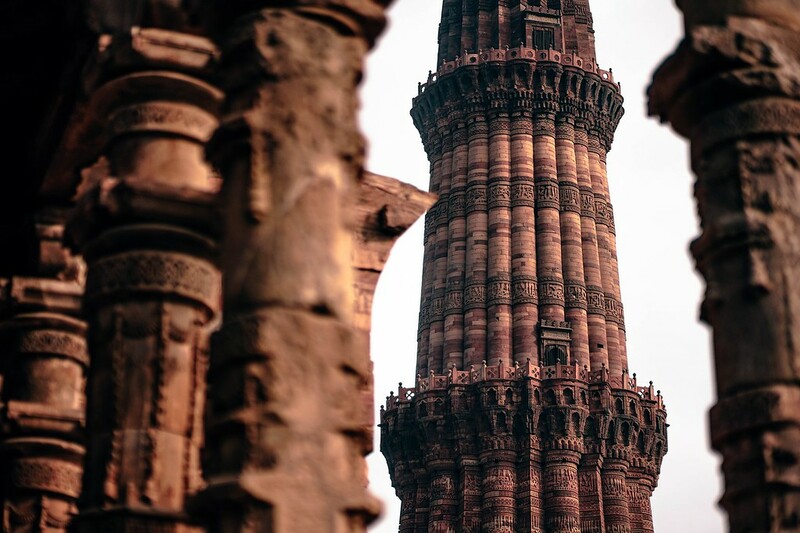 Inscribed by UNESCO in 1993, the red sandstone tower of Qutb Minar is the highlight of the complex. It stands at 72.5 m high with impressive, intricate carvings throughout. 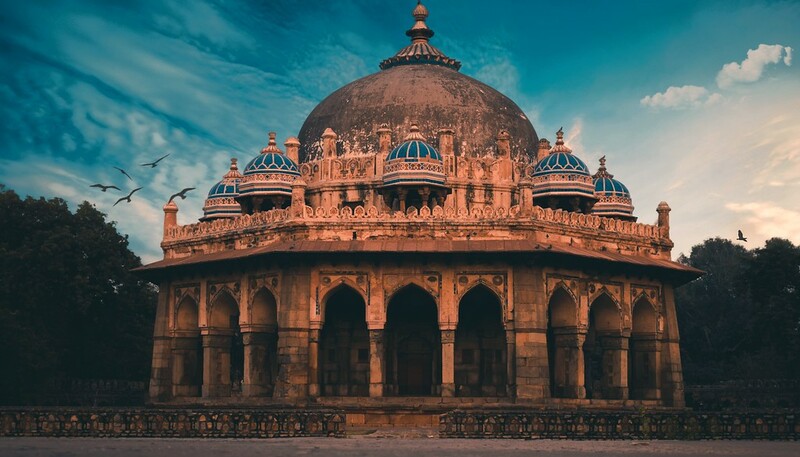 You’ll find additional monuments in the area, such as the stunning Alai-Darwaza Gate, the masterpiece of Indo-Muslim art, and the Quwwatu’l-Islam mosque. 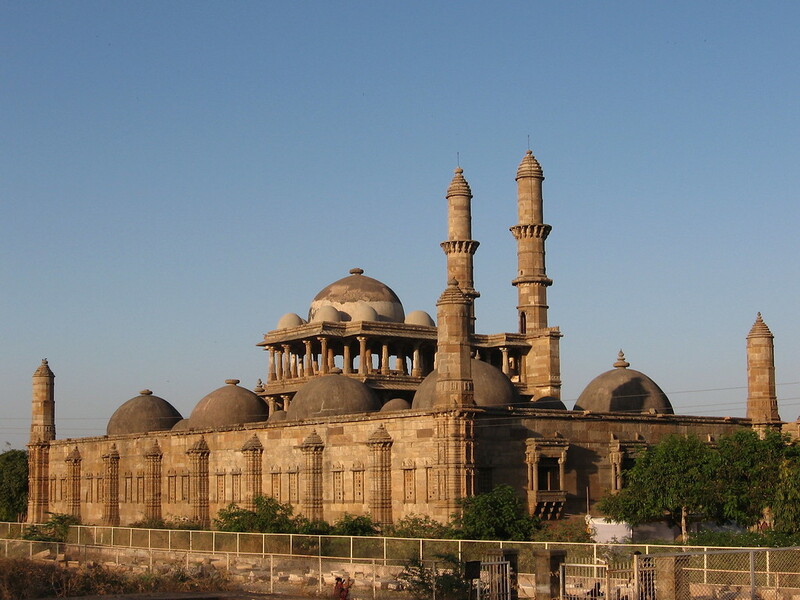 It’s the oldest mosque in northern India, pieced together with the reused materials from 20 Brahman temples. 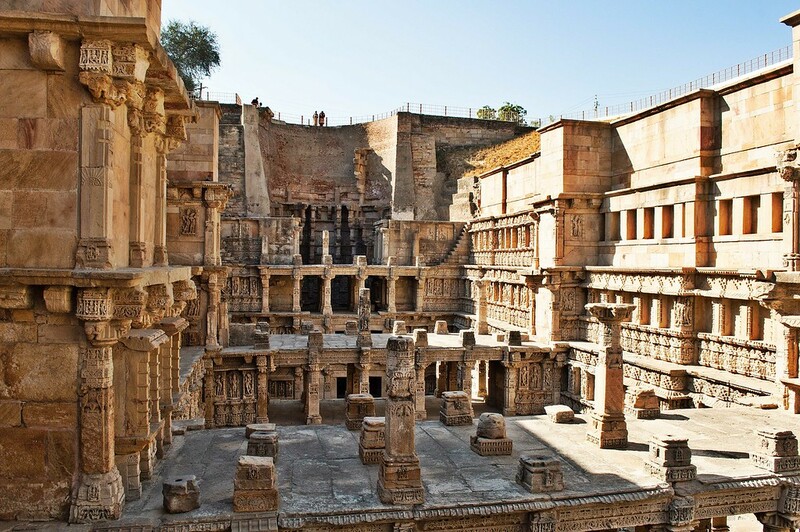 Rani-ki-Vav, also known as the Queen’s Stepwell, demonstrates the architectural mastery of stepwell construction. Stepwells are a subterranean water storage system in India, built since the 3rd century BC. Rani-ki-Vav was built in the 11th century as a memorial to a king. It was designed as an inverted temple with seven levels of stairs with highly detailed sculptural panels. The carvings highlight the fact that water is a precious resource, using religious, mythological and secular imagery. 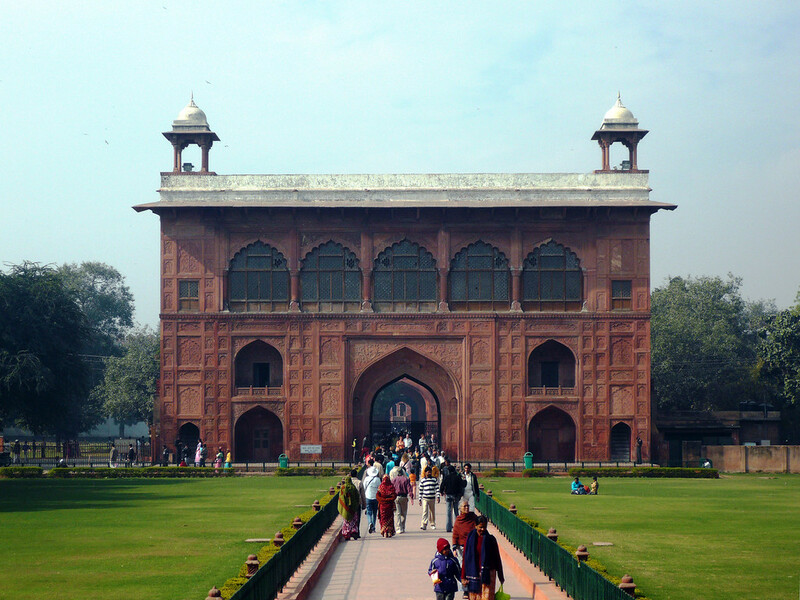 In 2007, the Red Fort Complex was included on the list of UNESCO World Heritage Sites in India because it blends architectural styles from India, Persian, and Timurid traditions. Its garden design influenced gardens in Rajasthan, Delhi, Agra, and more. As a symbol of power, the Red Fort witnessed the switch to British rule and the shift back to Indian independence. The conservation of this property has improved over the last 10 years, though much still needs to be done to ensure that visitors don’t contribute to its decay. 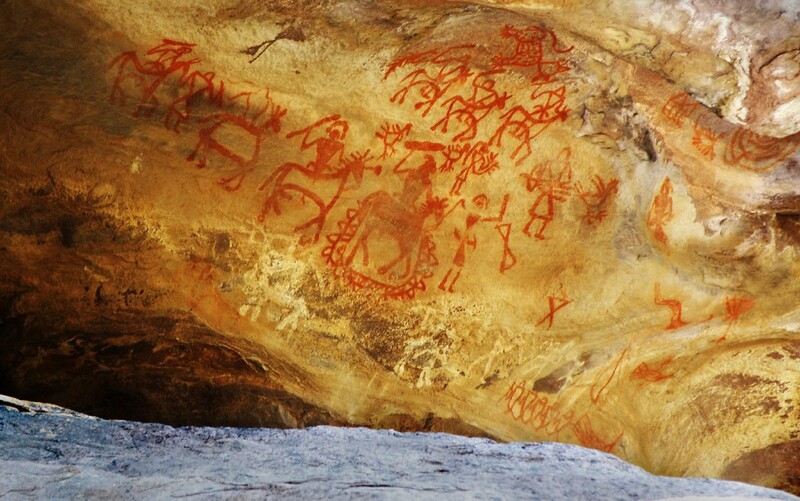 In the foothills of the Vindhyan Mountains, the Rock Shelters of Bhimbetka display indigenous cave paintings from as early as the Mesolithic Period. There are five natural rock shelters there to explore. Furthermore, the traditions of the people living in the 21 villages nearby are linked directly to the imagery in these ancient rock paintings. It highlights the lengthy connection between people and the natural landscape throughout the ages. 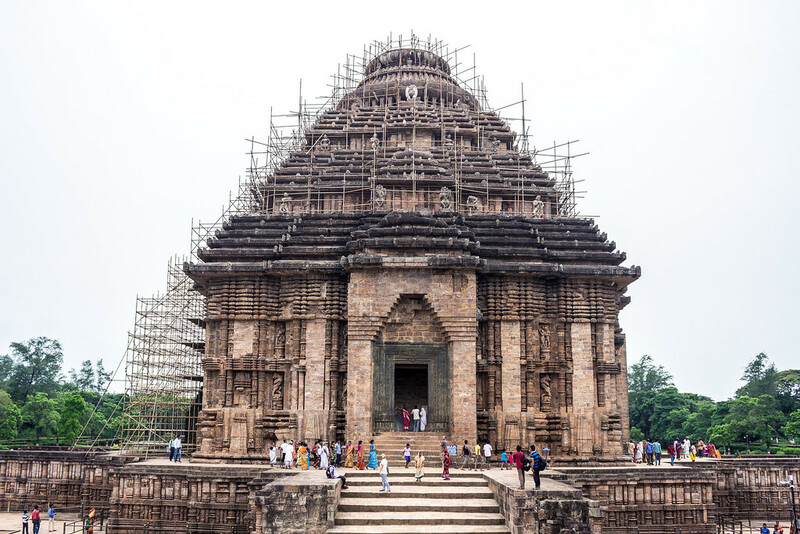 The sun temple at Konarak represents the sun god Surya’s chariot. It is led by six horses and its 24 wheels are decorated with many symbolic etchings. Though only the ruins remain today, it’s one of the most famous Brahman sanctuaries. It’s undoubtedly the most famous of all the UNESCO heritage sites in India, and it’s one of the Seven Wonders of the World. It’s a massive mausoleum made out of magnificent white marble. It was built in Agra from 1631 to 1648, by the command of the Mughal emperor, Shah Jahan. It was dedicated to the memory of his third and favorite wife after she died in 1631. Visiting the Taj Mahal is one of the most iconic things you can do in India and overall, as a world traveler. 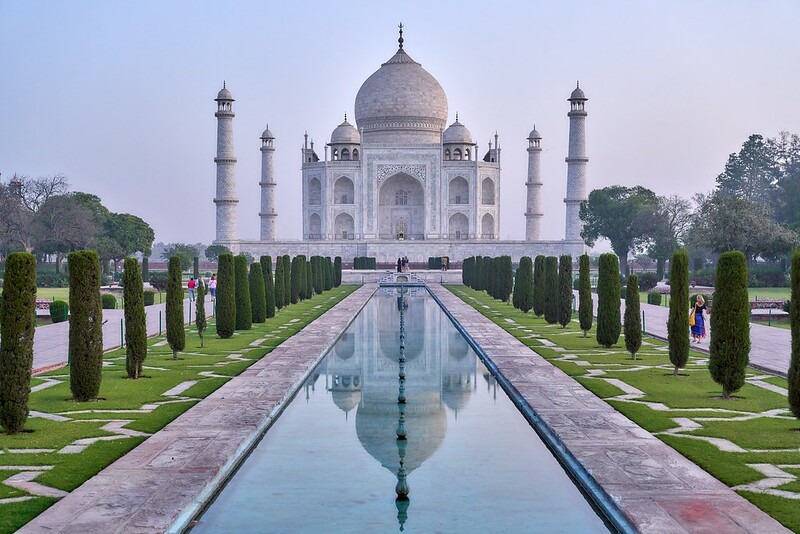 Why not incorporate your tour of the Taj Mahal with a luxury tour of India? The work of Le Corbusier spans several countries, including India, Argentina, Belgium, France, Germany, Japan, and Switzerland. All 17 of his architectural sites make up this UNESCO World Heritage Site, and you’ll find The Complexe du Capitole in Chandigarh. His new architectural techniques responded to the needs of society in the 20th century, making a distinct break from past styles. 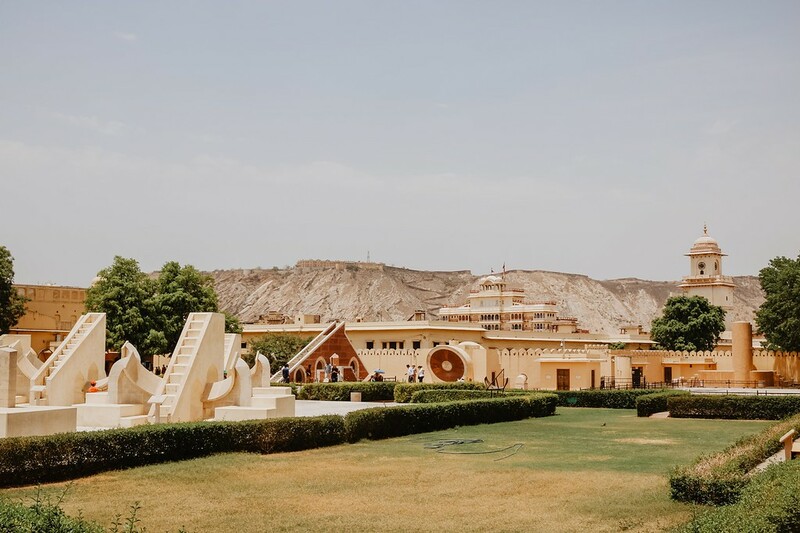 When you fly into the Indira Gandhi International Airport and grab a taxi transfer to New Delhi, you’ll be right on your way to Jantar Mantar, Jaipur. This is one of the most convenient UNESCO World Heritage Sites in India to visit because it’s only a half hour from the airport and right in the middle of the city. The Jantar Mantar in Jaipur is an 18th century astronomical observation site. This location is the most comprehensive and best preserved of India’s observatories, containing a set of 20 main fixed instruments. They contain both instrumental and architectural innovations to observe astronomical positions with the naked eye. As a global trading center, Mumbai led a huge urban planning project that allowed for many new architectural styles, like Victorian, Gothic, and Art Deco. The Art Deco imagery blends with Indian styles, making for a new architectural style, Indo-Deco. This is the newest UNESCO World Heritage Site in India. 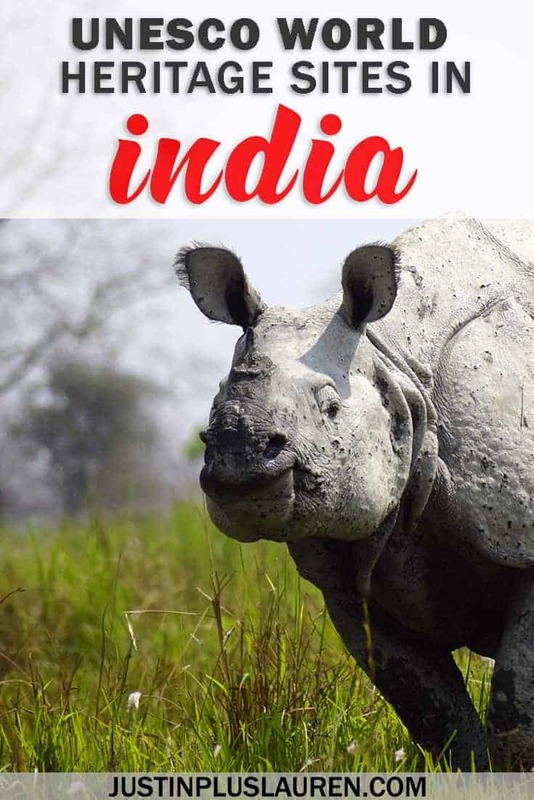 Here are the UNESCO World Heritage Sites in India that are important and significant within the natural world. The scenic and spectacular Himalayas will top any list of the top 10 places to visit in India. In the Great Himalayan National Park, you’ll find towering peaks, alpine meadows, and dense forests. It’s a biodiversity hot spot, including many threatened wildlife species living in the forests. In addition, the snow and glacial melt water forms several rivers that are vital for the survival of millions. Kaziranga National Park is one of the last lands in eastern India that’s undisturbed by humans. 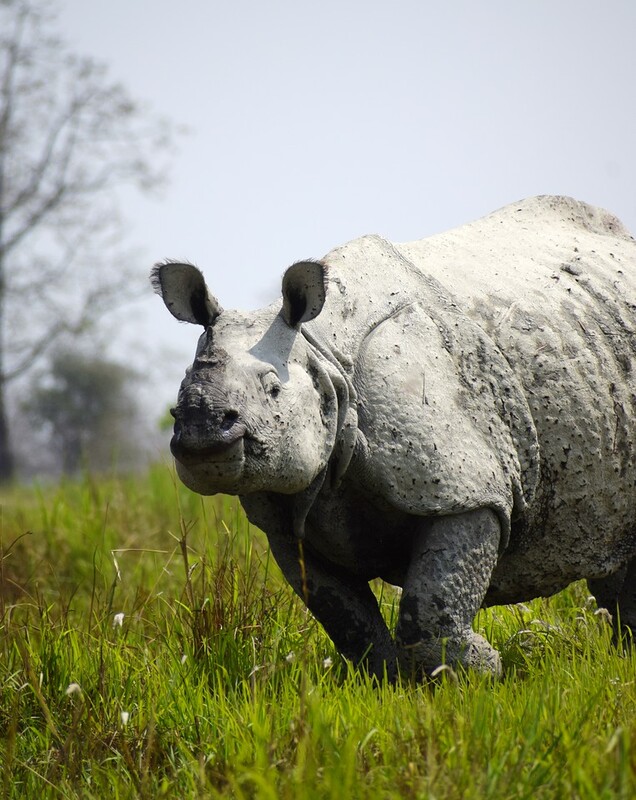 In the middle of Assam, it has the world’s largest population of one-horned rhinoceroses. There are also many endangered land mammals, like tigers, panthers, bears, and elephants. 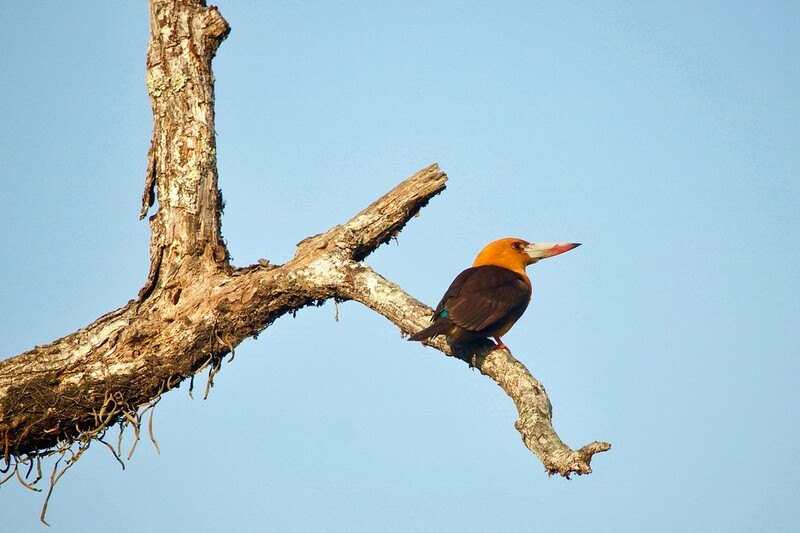 Furthermore, there are thousands of birds that call Kaziranga National Park home. Keoladeo National Park is one of the most important natural UNESCO World Heritage Sites in India. Formerly a duck hunting site, it’s a winter home for many migratory aquatic birds from Afghanistan, Turkmenistan, Siberia and China and Siberia. Conservationists have spotted the rare Siberian crane in the park, as well as 364 other species of birds. You get two for the price of one at this UNESCO India site! Nanda Devi National Park became a UNESCO World Heritage Site in 1988, and it expanded in 2005 to include Valley of Flowers National Park. 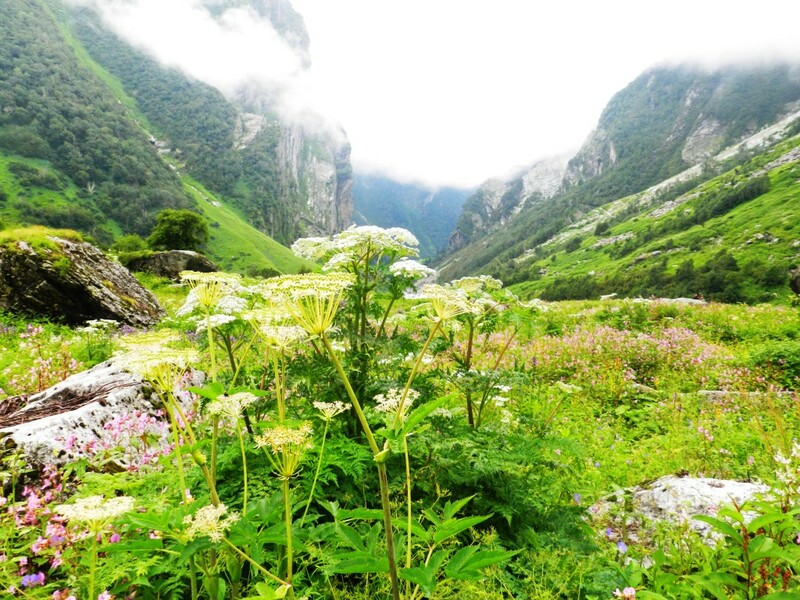 The Valley of Flowers has vast meadows of endemic alpine flowers. It’s also home to endangered animals, like the Asiatic black bear, brown bear, snow leopard, and blue sheep. By contrast, you’ll find the Nanda Devi Peak at Nanda Devi National Park, India’s second highest peak. Mountaineers will love its rugged wilderness. Together, both parks comprise a unique transition zone between mountains and meadows. In the Ganges delta, the Sundarbans National Park amasses an area of 10,000 square kilometers. It’s one of the most significant natural UNESCO World Heritage sites in India because it contains the world’s largest area of mangrove forests. 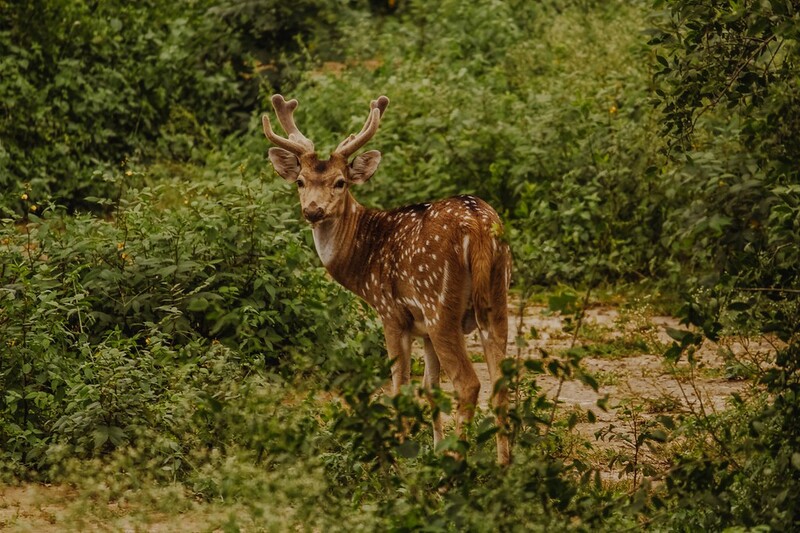 Many endangered and rare species live at the Sundarbans National Park, such as tigers, aquatic mammals, birds and reptiles. You can even spot creatures that were once considered extinct, like the river terrapin. It’s a must visit destination if you love traveling to spot wildlife. The Western Ghats are an extremely significant UNESCO India site. The high forest ecosystems at the tops of this ancient mountain range influence India’s monsoon weather pattern. It’s also one of the world’s eight biodiversity hot spots. The Western Ghats are home to 325 globally threatened flora, fauna, amphibian, reptile, bird and fish species. There is one UNESCO World Heritage Site in India that has both cultural and natural significance: the Khangchendzonga National Park. Khangchendzonga National Park is one of the most recent additions to this official list of historical places in India, inscribed in 2016. 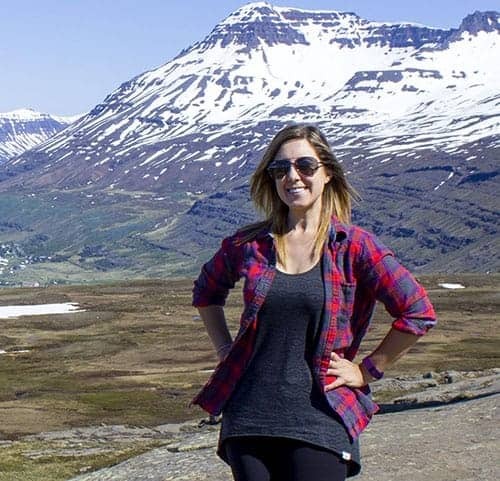 It has vast valleys, plains, forests, glaciers, and mountains. 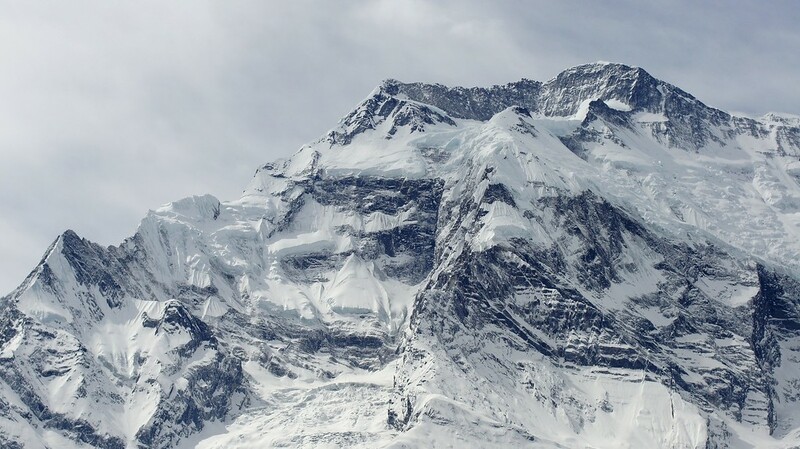 Mount Khangchendzonga is the world’s third highest peak. The mountain plays a special role in many mythical stories of the indigenous people of Sikkim. These sacred tales comprise the basis for Sikkimese identity, and are also integrated into Buddhist beliefs. With great cultural and natural importance, be sure to learn about the legends as you travel there while admiring the beautiful outdoor scenes and array of wildlife. 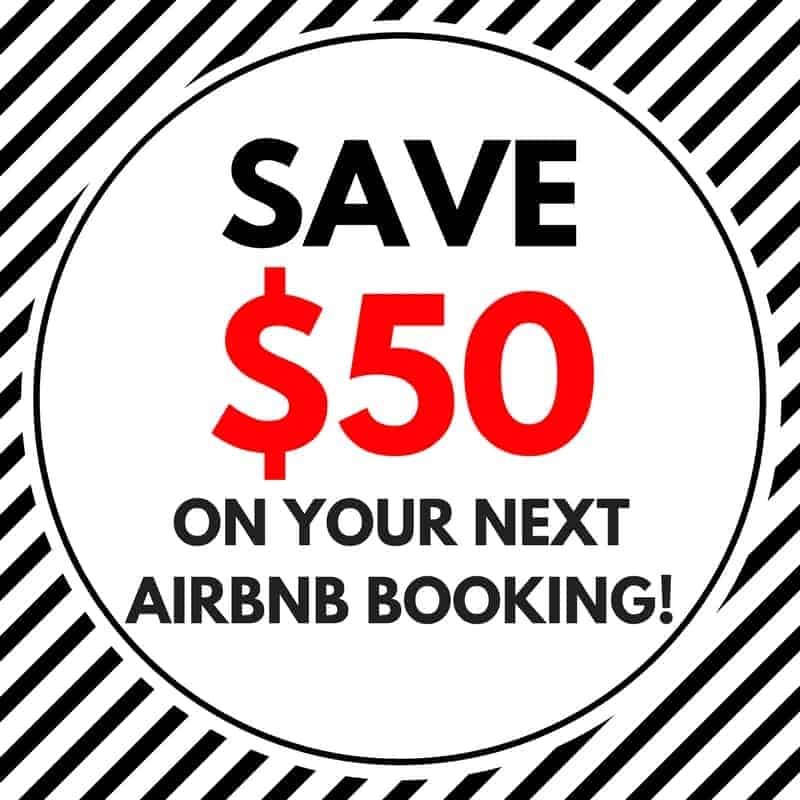 PIN one of the above images to Pinterest for future reference. Click the top left corner. Have you checked off any of these UNESCO sites in India off your bucket list?